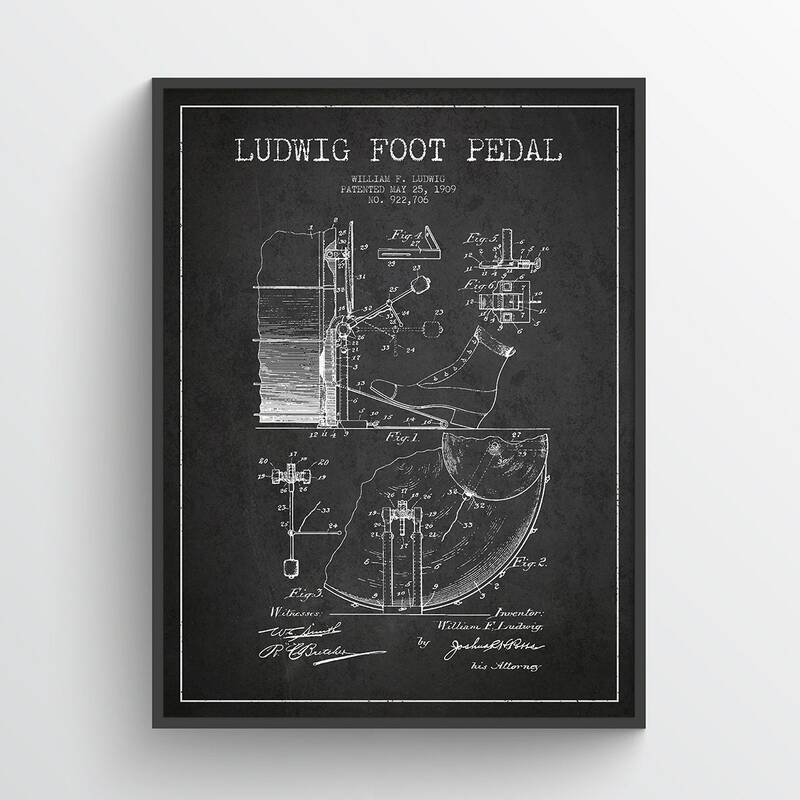 1909 Ludwig Drum Foot Pedal Patent Canvas Print. Beautiful canvas print for your home or office. Unlike other artists selling patents online all of our prints are meticulously cleaned and refined, all titles and patent numbers rewritten and they are offered in six different colors. We take about 2-5 business days to prepare your order. Then you should add shipping times on top of that. If you are interested in purchasing any of our designs in bulk, process a large corporate order or just want to customize a specific graphic, please get in touch and we are happy to help. If your product was damaged during shipping you can return it provided you contact us within in the first couple of days of receiving it. 1) Contact Us and include the order number. Let us know what you’re unhappy with. It’s very important to us that you get what you ordered as quickly as possible. It takes about 2-5 business days to fulfill orders. Then you should add shipping times on top of that. Speed and price depends on product type and destination. Shipments outside of the USA may incur customs fees depending on your country of residence. The fee may vary depending on your order value, country limits, and other factors. PatentsWallArt does not take responsibility for possible fees. Please Note: Colors may vary slightly due to monitor variations!